Congratulations to all the Paralympic Athletes and to the 31 Canadian Medal winners. Canada captured 7 Gold, 15 Silver and 9 Bronze Medals in London. 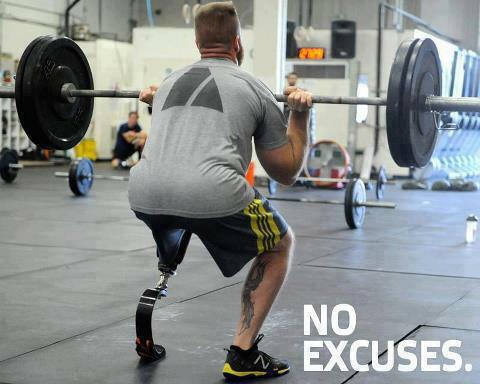 What’s your excuse for not being active ? I have to say I am rather disappointed that the Paralympics are not as supported as the Olympics. Have you seen these athletes ? Have you ever thought about the challenges they face when training for such events ? They are amazing athletes to me. They push the boundaries and to me are an example of how we should and could live our lives. Those that have the rights to broadcast the Olympics and Paralympics seem to have missed the boat (again) on this one. I haven’t seen the opening/closing ceremonies or any events for that matter on my television. I’ve tuned into a few events via the London 2012 Paralympics website to get my updates. I’ve also watched a little live online at CTVOlympics.ca. Did you watching or read about the Paralympics? What do you think about the Paralympic athletes ?